Alpha Kappa Alpha Sorority, Incorporated is the oldest Greek organization established for African-American women. Based on community service, stewardship and sisterhood, Alpha Kappa Alpha has served the community for over 100 years with diligence and pride. 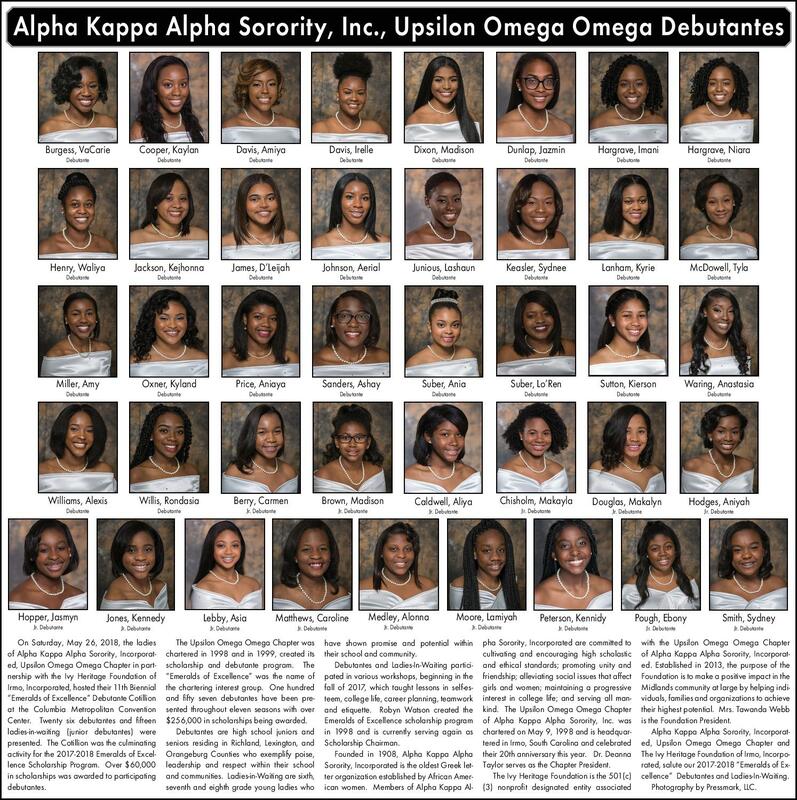 Members of this illustrious sorority are committed to cultivating and encouraging high scholastic and ethical standards; promoting unity and friendship; alleviating social issues that affect girls and women; maintaining a progressive interest in academic achievements; and unselfishly serving all mankind. 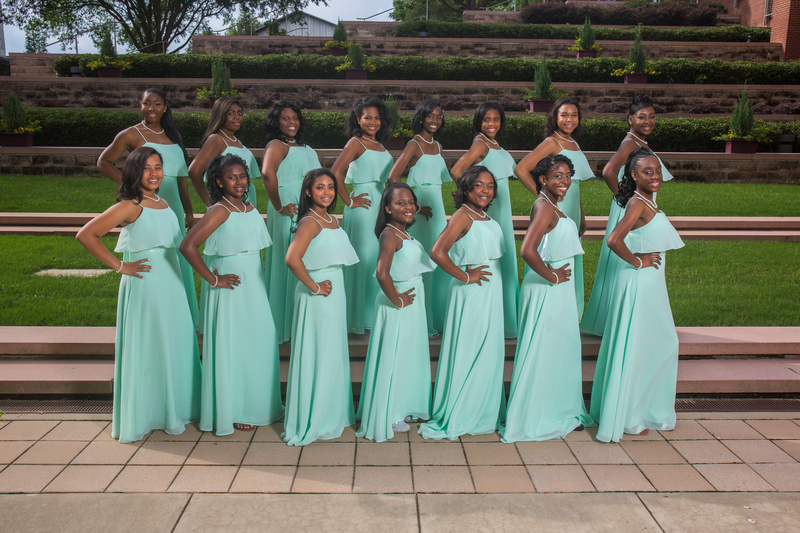 In an effort to preserve the spirit of Alpha Kappa Alpha, the Ivy Heritage Foundation of Irmo, Incorporated, in partnership with Upsilon Omega Omega Chapter hosts a bi-annual debutante cotillion for young ladies within Richland, Lexington, Fairfield, and Orangeburg Counties. Emeralds of Excellence are young ladies who exemplify poise, leadership and respect within their schools and communities. 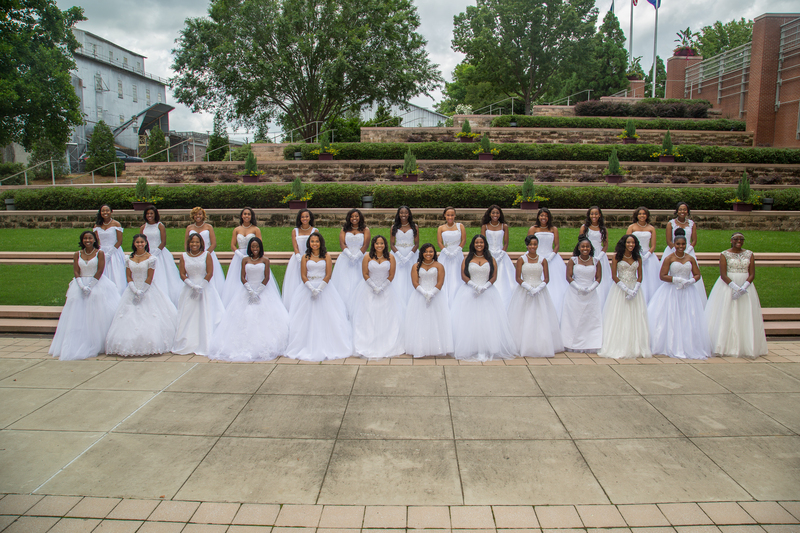 During the debutante season, young ladies have the opportunity to engage in various workshops and activities that will encourage future success. At the end of the debutante season, we celebrate with a grand ball and congratulate our debutantes with college scholarships. (3) To encourage mentorship between program participants and Upsilon Omega Omega chapter members. Applications will be available for the 2019-2020 Debutante Season beginning April 8, 2019. Deadline to apply is by May 25, 2019. Application can be accessed by clicking HERE.